Finally, I’m caught up on my posts! This photo was taken from my husband’s hospital room in Toronto. I looked out to see thousands of people participating in the Walk for the Cure, supporting cancer research. It was a magical sight, seeing so many people working together to support those struggling with such an awful plight – cancer. There are a lot of good people doing a lot of remarkable things in this world to make a difference. Participating and raising funds for causes like this can be a fun and easy way to do so. There are so many other ’causes’ that also need support like this – orphanages are one, not to mention hundreds of other medical conditions that are as bad, or almost as bad as cancer. 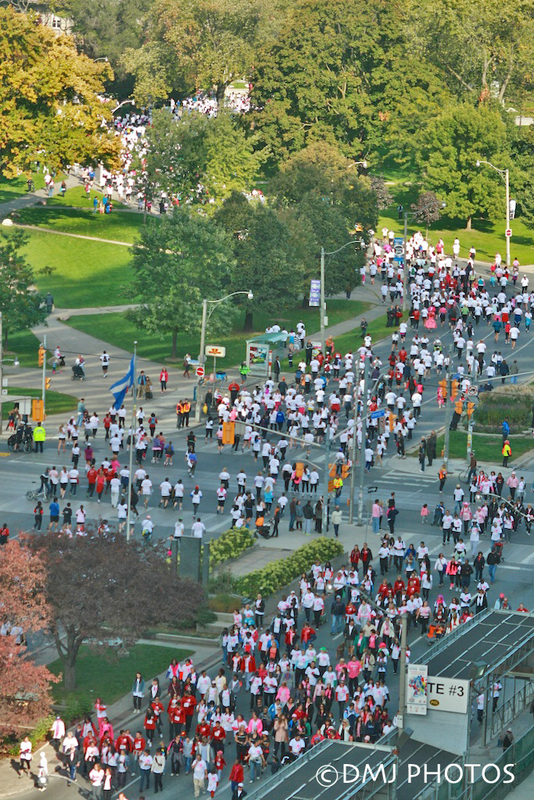 Way to go Toronto for all your participation in today’s Walk for the Cure! This entry was posted in Uncategorized and tagged 365 Day Photo Challenge, Denise MacDonald, DMJ Photos, Photo Challenge, postaday, Walk for the Cure. Bookmark the permalink.